For that matter, that full mk6 is nice to have, and you even have chars that need it, . I've constantly been in need of those mk 7 shield generators for the last couple of months,and the mk 6 thermal detonator is a fairly widespread piece at g10/11. 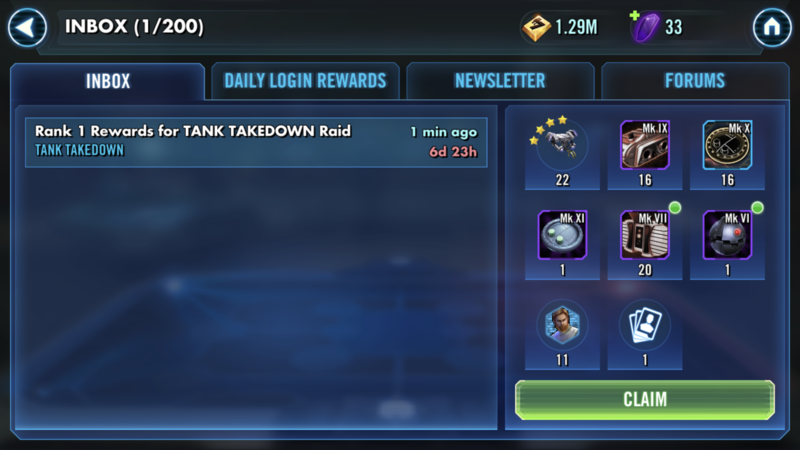 Those are actually reasonably decent HAAT rewards compared to some. On the general point that rewards are garbage, I'm minded to agree. I'm almost at the point of just posting 0 because it's not worth the effort and I'm only a 1.8mil GP player. I really think that if i tracked my rewards i would get the same percentage of garbage rewards from haat as i do from rancor. Sometimes rng hates you and sometimes you get great rewards. Just feels worse with haat since the raid is less often.